Why worry about the perfect color, fit, or style this year? Give something that will always be in season, never goes out of style, and keeps on giving for years to come – give the gift of travel! We’ve already covered how travel experiences enrich life, here are a few suggestions for the perfect vacation, no matter your price range. 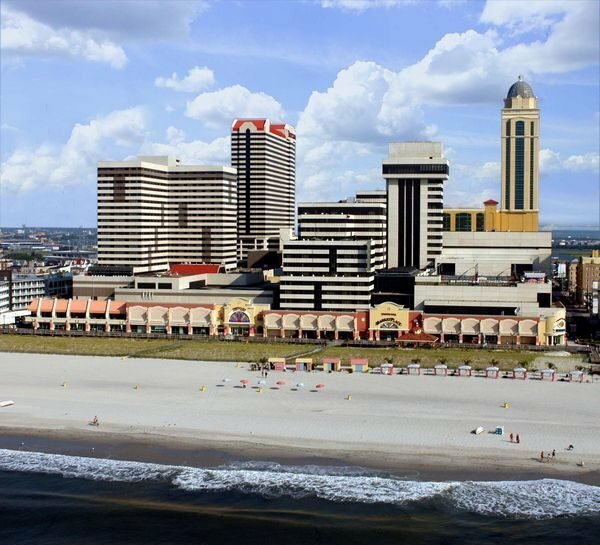 Atlantic City Air Show – for just under $55 you can send your loved one on a comfortable bus to the Jersey shore for the high-flying excitement of the Atlantic City Air Show and even a little casino fun! They’ll be treated to a casino package with $25 Slot Play and a $10 Food Voucher, along with the intense thrill of the famed military and civilian pilots flying acrobatic maneuvers above their heads! Coney Island Express – Brooklyn’s famed boardwalk destination is less than $55. Imagine giving them a day at the beach with all of the history and unique flair of Coney Island. 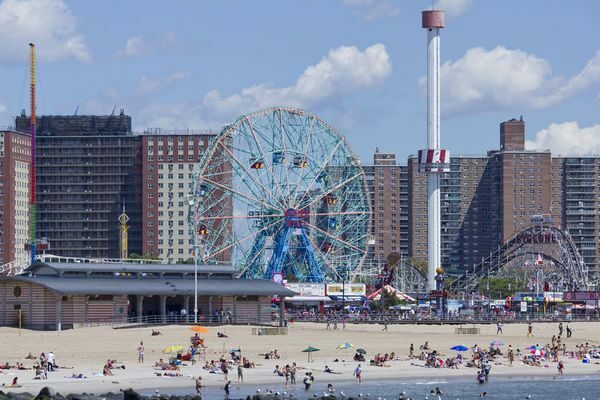 They can try one of Nathan’s Famous Hotdogs, explore the New York Aquarium, ride the Wonder Wheel, catch a thrill on the Cyclone, relax on the beach, and more! It’s a perfect day away from the daily grind. National Zoo, Washington, DC – for just under $70, your loved one can enjoy a day at one of the oldest zoos in the nation! Over 2000 animals call this 163-acre park home including Giant Pandas from China, exotic birds, reptiles, rain forest creatures, and more. Cars, Collectibles, and Yuengling – new for 2018 is a tour just under $100 that offers an afternoon of history and nostalgia as they visit America’s first brewery and revisit the ’50s! At Jerry’s Classic Cars & Collectibles Museum, they will take a journey back in time to the 1950s and leave with an unforgettable experience. The Lion King – Disney’s classic movie takes center stage in an amazing production of artful puppetry and incredible music. Carousel – “One of the most hallowed works of the American stage” (The New York Times) returns to Broadway for the first time in more than two decades. Rodgers & Hammerstein’s timeless musical Carousel comes to life in a new production. Elevated to an epic scale with a sweeping musical score and incandescent ballet sequences, this story of passion, loss and redemption introduced Broadway to a new manner of musical drama – one that “set the standard for the 20th century musical” (Time Magazine) and would captivate theatergoers for generations to come. 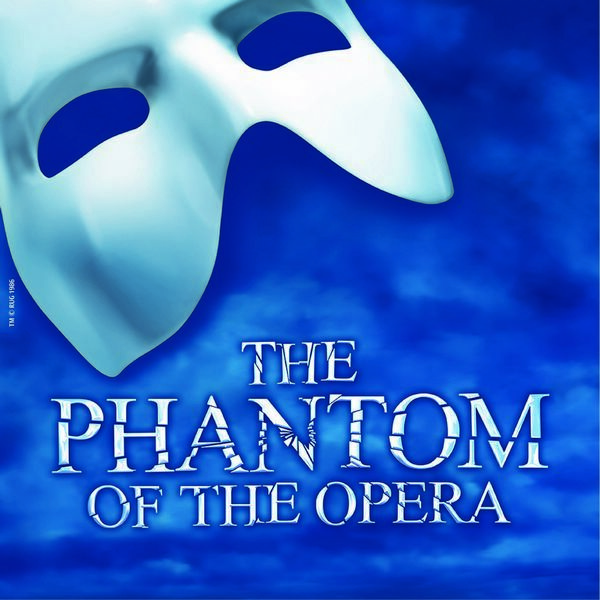 The Phantom of the Opera – this timeless tale of seduction and despair is Andrew Lloyd Webber’s masterwork and has been running on Broadway for 30 years. The unforgettable score, heart wrenching story, and captivating set make this a must-see show. Hello, Dolly! – Bernadette Peters takes center stage in one of the most cherished musicals in theater history. Featuring music and lyrics by Jerry Herman and a book by Michael Stewart, “Hello, Dolly!” tells the story of an outspoken matchmaker and her attempts to marry “half-a-millionaire” Horace Vandergelder. Cooperstown: National Baseball Hall of Fame – perfect for the baseball fanatic in your life. This tour includes a one year membership to the National Baseball Hall of Fame including a subscription to Memories and Dreams magazine, Hall of Fame Yearbook, complimentary admission to the Hall of Fame for one year, and other perks. Combine this with the fun shopping and dining found in Cooperstown and your gift will hit a home run! Niagara Falls, USA – No passport required! 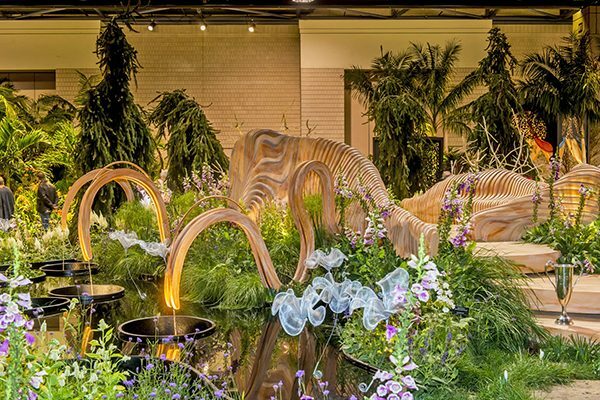 Our newest option for a Niagara vacation makes this wonder of the natural world even more accessible! They’ll enjoy a boat ride into the horseshoe of the falls on Maid of the Mist as well as a tour of the area and accommodations in Seneca Niagara Resort & Casino. What a lucky gift! 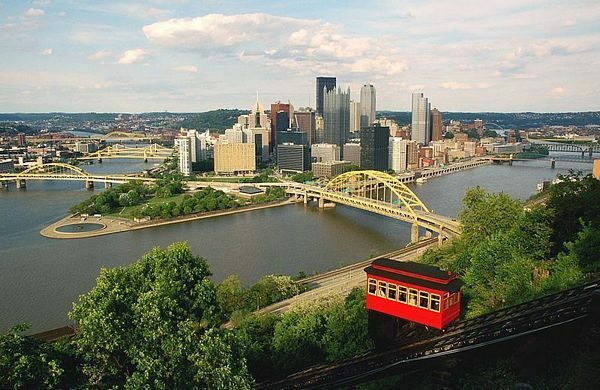 Pittsburgh, PA: The Golden Triangle – the intriguing “Steel City” awaits on this tour to western Pennsylvania. Truly a unique destination, Pittsburgh is home to a fascinating mix of historical landmarks, captivating architecture, compelling characters, and more! They’ll tour the Nationality Rooms in the Cathedral of Learning, be treated to an in-depth tour of the city, and more! Foxwoods & Mohegan Sun Casinos – this tour is every casino lovers dream! 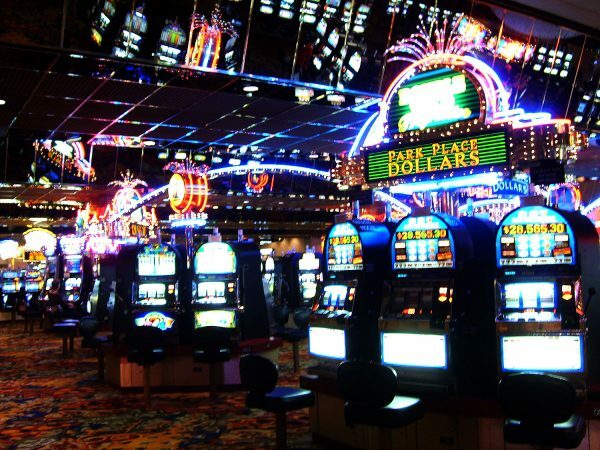 Featuring two of Connecticut’s greatest casinos this tour includes a casino package at each and ample time to try their luck at a plethora of table games, slot machines, Poker rooms, and more! They’ll be saying “Jackpot!” when they open this present! One size rarely fits all and with Starr, you don’t have to settle for the generic! In addition to our immense lineup of incredible bus tours, we also offer gift cards. Our gift cards come in any denomination, and never expire! Whether you purchase a gift card so they can choose their own adventure or surprise them with a vacation you know they’ll love, you can rest assured that when you give the gift of travel, you’re giving a gift that will keep on giving for many years to come! These are just some of the stories we hear from our frequent riders on our regular trips (also known as “line runs”) to Atlantic City, NJ and Bethlehem, PA. That’s right! In addition to our full assortment of bus trips to marvelous destinations, Starr also runs buses on a weekly basis to the Sands Casino in Bethlehem, as well as Resorts, Tropicana, and Bally’s Casinos in Atlantic City. If you’re looking for a quick one day trip that you don’t have to plan too far in advance, this is a good option for you. While all of our bus pickups for casino line runs are in New Jersey, passengers in Northeast Philadelphia and Bucks County are only 25-35 minutes from the closest pickup! Call Starr and we’ll help you find the closest one for you. We have a few different bus options if you’d like to try your luck! Pay only $30 for a round trip ticket and you receive $30 Slot Play back for the casino of your choosing! Please purchase your ticket up to 7 days in advance at the location where you will board the bus. The pickup locations are Marazzo’s Thriftway (Ewing), Fred & Pete’s Deli (Mercerville), The Sticky Wicket (Hamilton), Mastoris Diner (Bordentown), and Country Farms (Southampton, NJ). When you arrive the casino of your choice, a greeter will board the bus to load up your slot play card. From there, you have about five hours to enjoy your time at the casino. The driver will give you a departure time so you know when to be back to board the bus for your return trip in the evening. The Monday bus is sponsored by the Tropicana, so as long as people are going we’ll be running it! There is no casino bonus for this bus but the ride is free, all you need to do is make a reservation. Seats can fill up (especially in the summertime) so we highly recommend you make your reservation as early as possible, up to seven days in advance. We will accept reservations on a first come, first serve basis on Monday morning. Starting October 9th, 2017, we will be assigning seats for everyone who rides this bus. Call early in the week if you like to sit in seats closer to the front of the bus. The pickup locations for this trip are the AMC Hamilton 24, Mastoris Diner (Bordentown), Florence Library (Roebling), and the Homestead at Mansfield (Columbus). Note that you do not have to be a resident of the Homestead community to board here. Simply tell the security guard at the gate you are taking the bus to Atlantic City! This bus runs every Tuesday in April through November. The Sands is a beautiful casino in Bethlehem PA, and is chock full of delicious restaurants, luxurious shops, and more! The trip is $30, and you receive $35 Slot Play from the casino. The pickups for this trip are Fred & Pete’s Deli (Mercerville), Marazzo’s Thriftway (Ewing), Orlando’s Café (Hopewell), and the Hampton Inn (Flemington). Orlando’s is our newest pickup for the Sands, conveniently located in Hopewell off Route 31. For this trip, purchase your ticket at the pickup location UNLESS you will be boarding at Flemington, in which case please call 609-587-6842 to make your reservation. Like all of the other casino trips with Starr, please make your reservation up to 7 days in advance to secure your seat! As always, call 609-587-0626, extension 0 for the operator, and we’ll be happy to answer your questions about our casino buses. It’s only August, but now is the time when we start planning our assortment of Broadway Show Bus trips for 2018. I bet you want to know how we decide which shows to book on which dates! 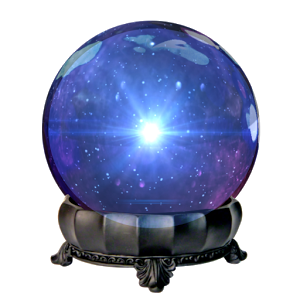 A crystal ball of course! Doesn’t everyone have one of these? Okay, so we don’t really have a crystal ball, but since we’ve been doing this for so long, we do have an idea of the type of shows our tour guests like. There’s the steady eddies like: The Phantom of the Opera, The Lion King, and Wicked. Then there’s the shows that are still bringing people in after a couple years like Beautiful, and School of Rock. There’s the newer shows like Come From Away and Anastasia. And, of course, there are the untouchables like Hamilton and Dear Evan Hansen – we get laughed at when we request those shows! Perhaps the most exciting, but most unknown, are the newcomers. Late 2017 and 2018 have their share of newcomers and it looks like there will be lots of new shows to deliver to our tour guests. 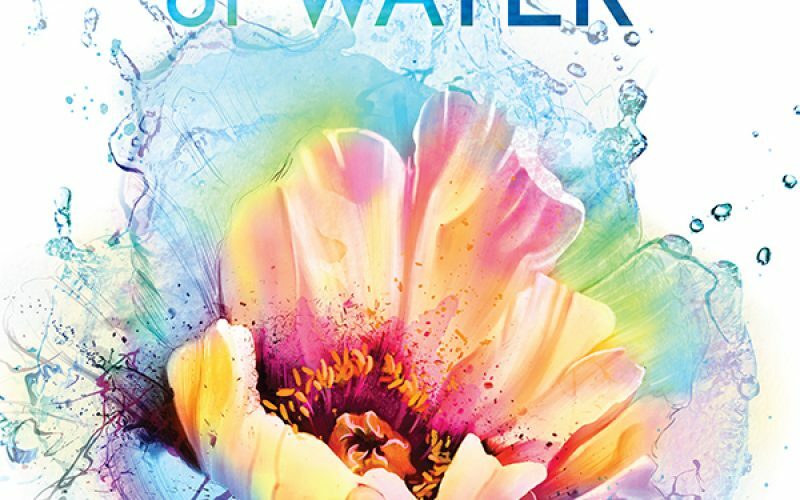 The critically acclaimed new musical that celebrates the deeply human ways music and laughter connect us all. After a mix-up at the border, an Egyptian Police Band is sent to a remote village in the middle of the Israeli desert. With no bus until morning and no hotel in sight, these unlikely travelers are taken in by the locals. Under the spell of the desert sky, their lives become intertwined in the most unexpected ways. The Band’s Visit celebrates the deeply human ways music, longing and laughter can connect us all. A new musical featuring both original songs and your most-loved Jimmy Buffett classics. Follow Tully, a part-time singer, part-time bartender, and full-time charmer who thinks he has life all figured out until a beautiful career-minded tourist steals his heart and makes him question everything. Bursting with Caribbean colors, rhythms and dance, the story of Ti Moune comes to vibrant life in a striking production. Ti Moune is a fearless peasant girl who falls in love with a wealthy boy from the other side of the island. When their divided cultures keep them apart, Ti Moune is guided by the powerful island gods, Erzulie , Asaka , Papa Ge , and Agwe, on a remarkable quest to reunite with the man who has captured her heart. Come and gather around for Once On This Island, a triumph of the timeless power of theatre to bring us together, move our hearts, and help us conquer life’s storms. Elsa and Anna take the stage in the Broadway adaptation of Disney’s hit film! This is the timeless tale of two sisters, pulled apart by a mysterious secret. Both are searching for love. They just don’t know where to find it. An original musical about a group of ordinary seniors with extraordinary dreams. Take the uplifting journey with these dreamers—and the young coaches who inspire them along the way—as they battle self-doubt, stereotypes and even each other for a chance to bust a move at center court in front of 20,000 screaming fans. Together they remind us that in life, when the odds are stacked against you and the challenges seem too great to overcome, it’s not the end of the game—it’s HALF TIME. The eighth story in the Harry Potter series arrives on Broadway! It was always difficult being Harry Potter and it isn’t much easier now that he is an overworked employee of the Ministry of Magic, a husband, and a father of three school-age children. While Harry grapples with a past that refuses to stay where it belongs, his youngest son Albus must struggle with the weight of a family legacy he never wanted. As past and present fuse ominously, both father and son learn the uncomfortable trust: sometimes, darkness comes from unexpected places. We already have great seats reserved for many of these shows, and as always, if a show isn’t listed on our Broadway shows lineup you can still count on us for great seats to any show when you book with our NYC Express Option – you choose the show and we take care of the rest! We’ll drop you off at 11am and pick you up at 6pm – we make it super easy for you to enjoy New York City and Broadway! When Starr takes you to Broadway, we drop you off right in the heart of the Theatre District where you’ll have access to great restaurants, shopping and people watching! Starr makes it easy to see a Broadway show so check out our assortment, sit back and let us take you there! Starting a new job certainly has its pluses and minuses. One of those minuses is that you need to wait for vacation time to accumulate before you can take time off of work. 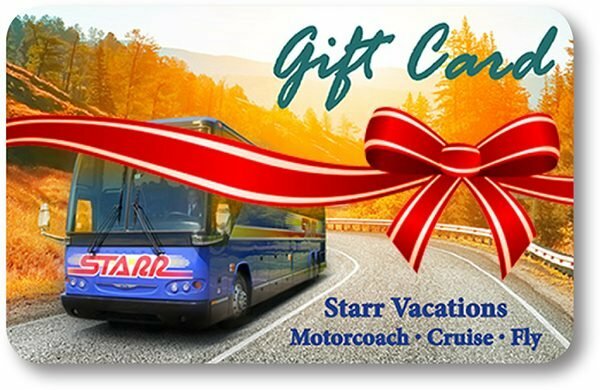 I was a little concerned about this until I started my new position with Starr (in October 2015) and I learned about ALL of the incredible Day Trips by bus that Starr has to offer!! And, because most of them are offered on weekends, I discovered that these convenient day trips can turn into one day mini-vacations for me and my family. One of my favorite one day bus trips was to the Kutztown, PA Folk Festival. This summer, the 9-day festival that draws over 130,000 visitors will celebrate its 68th year. 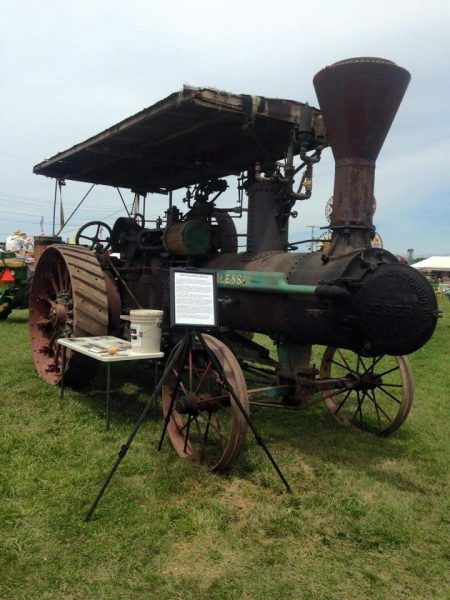 Amazingly enough, the idea for this family-friendly event originated from three men who wanted to share their Pennsylvania Dutch heritage with others. 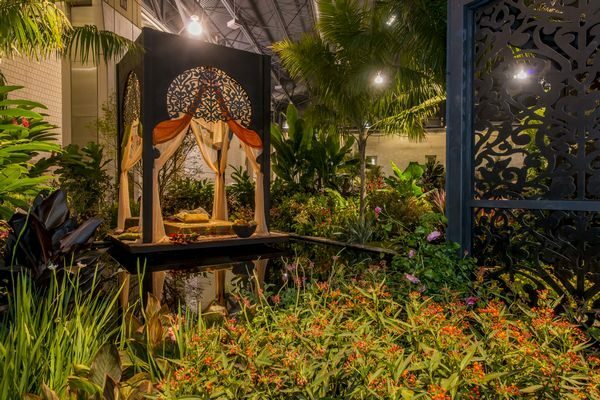 A person’s curiosity is certainly settled after visiting this festival for just one day! After experiencing craft demonstrations, entertainment, wonderful food, folklore, and one of the nation’s finest quilt sales, I left with much greater knowledge and understanding of the PA Dutch lifestyle. Upon entering the festival, one of the first displays we encountered was that of the farming community. There were many farming tractors that spanned from the early days to the present. It was fascinating to see how time and innovation has changed the farming industry for the better. Many of the early farmers worked a tremendous amount of man hours to get their fields ready to plant their crops. While farming is still classified as hard work, it is not nearly as hard today because of the progression of the agricultural equipment that is available for use. There are many hands-on activities that are available to participate in and many were quite different from what I have seen at other festivals. I loved observing the gentleman who had a booth set up for anyone who wanted to make their own silk scarf. You could choose your own colors and he would guide you through the process and then you would take your lovely new scarf home to wash and wear with pride. 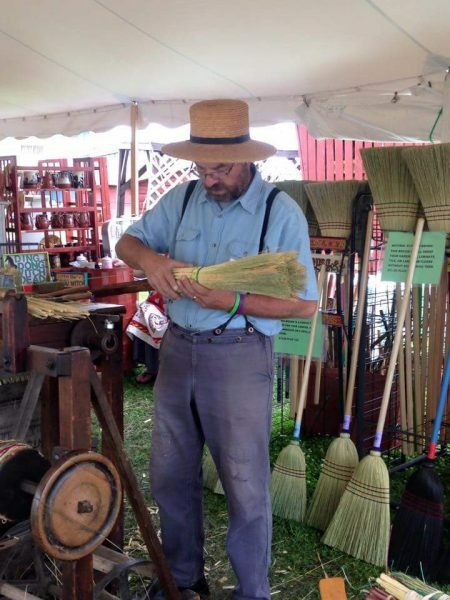 I also loved watching the man who makes straw brooms right before your eyes without any machine – just the use of his hands. My daughter had the opportunity to make her own tie-dye t-shirt that she is wearing a lot these days with the comeback of the ’70s “anything tie-dye” clothing. 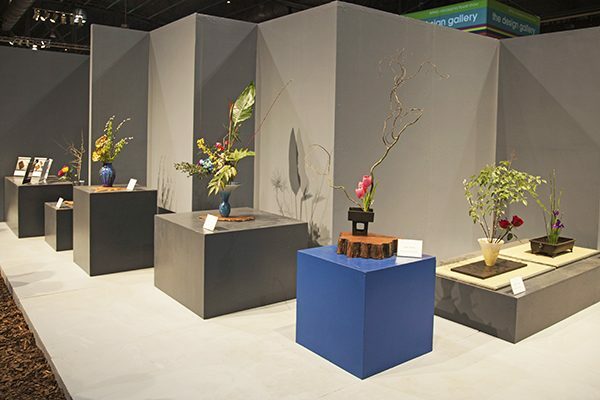 Furniture making, quilting, soap making, pottery, stained glass, pewter, tinning, blacksmith, and wood carving are a few more trades you will encounter throughout the day. Besides the craft activities, some of the buildings you can visit are a 1-room schoolhouse from the 1800s, a 1-room church, antique building with hundreds of items from the past and a barn that is used to display over 2,500 hand-made quilts. 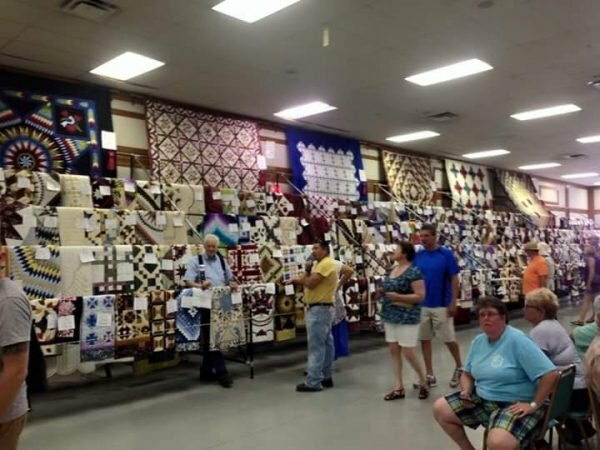 An auction is held on the Saturday before the festival ends where 24 of the best quilts are put up for auction and one is raffled off. Also, each attendee can experience quilting and making their own square that is then assembled into the annual visitors quilt. The variety of food offered is traditional Pennsylvania Dutch. You can purchase a family style dinner, homemade soups and sandwiches, and more. The areas that are reserved to have your meal are kept clean by the family members who are their selling their family recipes. The prices are very reasonable for lunch and dinner. Cinnamon buns, apple dumplings, and shoo-fly pie are favorites for dessert. Our family had such a wonderful time last year that we are planning on going back to the festival again this year. If you are looking for an adventure, and don’t have a lot of time to take off, this is a day trip where you will not be disappointed. All in all I have now taken 9 day trips and 2 multi day vacations since I began working for Starr. That’s an average of 1 bus trip per every 7 weeks! Lucky me! Oh… lest I not forget the best news, I now have accrued paid time off and look forward to using it to experience one of Starr’s multi-day bus trips! !